Homeland missile defense is not about Democrat versus Republican. It is not about creating a “boondoggle” to feed our defense industries. It does not “destabilize” the international system, nor will cutting it help usher in a world without nuclear weapons. Missile defense is about protecting the United States and its allies against ballistic missile threats that may not always be deterred by promises of retaliation. The Cold War is over. This is not because Russia is no longer a strategic adversary of the United States. Events in the Ukraine and Syria have proven as much. The Cold War is over because we no longer live in a bipolar world. It is over because the entire U.S. defense posture is no longer fixed on deterring conflict with a single, monolithic adversary. Today, the United States faces threats from a myriad of opponents, with North Korea and Iran chief among them, each with their own unique values, beliefs, and perceptions of the world around them. Nevertheless, there are many who still cling to the idea that the defense posture the United States took to deter conflict with the Soviet Union during the Cold War can be applied to the kaleidoscope of threats it faces today. This approach is as poorly thought-out as it is dangerous. To maintain this stability, both sides had to remain vulnerable to each other’s ballistic missiles and bombers. As the Cold War advanced, North American air defenses were minimized, and civil defense was pared down. Missile defenses, the greatest sin of all, were abolished in 1972 with the ratification of the Anti-Ballistic Missile (ABM) Treaty between the United States and the Soviet Union. Any hope of limiting damage and saving lives in the event of a nuclear exchange was sacrificed upon the altar of Mutually Assured Destruction (MAD). It was security through promised annihilation, and stability through self-inflicted vulnerability. Feeling secure in a state of vulnerability requires making some dubious assumptions about your adversary. You must assume that your adversary is rational, and that he values what you are threatening to destroy with your retaliation, and that he never doubts your willingness to follow through on that threat. You must assume that your opponent has accurate information about his strategic situation and has good judgment, and that judgment is not impaired by stress, mental health issues, or even chemical substances. Even if all of these things just happen to be true all the time, you must also assume that your adversary has full control over its military, and that there is zero risk of a missile launch by a rogue element. It is impossible to prove that MAD did not succeed in keeping the peace during the Cold War, since no nuclear war ever occurred. However, near misses such as the Cuban Missile Crisis, and the panicked response of the Kremlin to NATO’s Able Archer exercise in 1983 raise doubts about MAD’s infallibility. Even former U.S. Defense Secretary Robert McNamara, a chief architect of MAD, ultimately said in 2003 that luck was the main factor in averting a nuclear exchange. Today, the United States faces multiple adversaries with ever-advancing ballistic missile capability. North Korea likely already has the capability to strike parts of U.S. territory with a ballistic missile, and shows every intention of continuing to advance its capabilities. Iran’s missiles can already reach parts of Europe, and we cannot predict how fast it could develop intercontinental-ranged missiles if it pursued a crash program. The United States faces serious questions about its future security, which require serious thought and serious solutions. Does it want to intentionally stay vulnerable to these threats, hoping that its “luck” will hold out? Does it want to gamble the potential loss of an American city based on hope that Kim Jong Eun’s judgment during a crisis remains completely sound, or that he will never lose control of his military? Can the world feel assured that the same deterrence posture that (might have) worked with the Soviet Union will work with the regimes in Iran or North Korea? Does the U.S. have the luxury to assume that just because there has not yet been a rogue or accidental missile launch from Russia or China that it cannot happen in the future? With this unpredictable threat, there is no room for error, nor is there a simple solution for dealing with it. A robust U.S. missile defense system, however, is a key element to help ensure that the U.S. is protected against a limited missile strike in the event that retaliatory deterrents fail. Moreover, missile defenses enhance the overall U.S. deterrence posture by giving its adversaries doubt that they could accomplish their objectives with a ballistic missile strike. Having a reliable missile defense system also gives U.S. allies greater confidence that it will come to their aide if they are attacked. After all, how can the United States say with complete credibility that it will protect its allies if it cannot protect itself? The credibility of U.S. security assurances to its allies is a pillar of global stability, and has a major impact in dissuading U.S. allies from acquiring their own nuclear weapons. This is not to say that missile defense is a silver bullet. It is one integral part of a layered strategy to keep the world safe from weapons of mass destruction. This strategy includes retaliatory deterrents, nonproliferation efforts, diplomacy, sensible nuclear weapons reductions and transparency with other nuclear powers. A threat this large and complex requires the United States use all tools at its disposal to address it. This is not a zero sum game either, and the deployment of missile defense does not undermine other elements of this strategy as some suggest. A recent article in Foreign Policy magazine, for example, claimed that U.S. missile defenses undermine prospects for nuclear weapons reductions among the nuclear powers. It cited rhetoric from Moscow and Beijing expressing concern over U.S. missile defense deployments. Looking at recent history, though; this rhetoric appears to be just rhetoric. The United States and Russia have signed two nuclear arms reduction treaties since the United States announced it would withdraw from the ABM treaty in 2002. The first of these, known as the SORT treaty, was signed by Russia and United States just five months after that announced withdrawal, and reduced the number of U.S and Russian deployed strategic nuclear warheads by two-thirds. Despite President Obama’s investments in missile defenses in Europe (over Russian objections), Russia still signed the New Start Treaty with the United States in 2010, which capped both countries deployed strategic nuclear warheads to 1,550 apiece. Right now, the United States has the proven missile defense technology, the resources, and the ingenuity to get ahead of this threat, and avoid falling into the dangerous game of nuclear brinkmanship with the multiple adversaries it now faces. It should not squander this opportunity. Ian Williams is the Director of Advocacy of the Missile Defense Advocacy Alliance based in Alexandria, VA. This entry was posted in BMD Systems, Deterrence, Ground Based Midcourse Defense System, International Relations, North America, Strategy, Uncategorized and tagged featured. Bookmark the permalink. While advocacy for missile defenses is the innate stated purpose of your organization; to paraphrase Herman Kahn ‘the idea is to provide defense not to merely have more assets for less actual defense.’ The application of the image from Dr. Strangelove in the header represents an astounding level of irony as the MDAA argument represents ‘purity of essence’ thinking. This OpEd was clearly assembled as some sort of response to the recent testimony by Philip Coyle in front of the House Armed Services Committee. The basic question posed and all written testimony can be found at http://armedservices.house.gov/ as the hearing on July 23 where Mr. Coyle’s testimony is found at http://armedservicesforms.house.gov/Components/Redirect/r.aspx?ID=449407-38350146 . Mr Coyle does not advocate any madness, he cites decades of experience from others with foot notes where others can replicate the research. His commentary was calm, mild and considered especially when the engineering and physics implied by the question are considered. Fundamentally, by definition missile defense can only ever be effective against limited attacks. If you wish to blunt or negate the Russian or Chinese deterrent forces, you must consider the purpose of those systems and how they will logically, selfishly respond to your efforts to negate that purpose. The Russians and Chinese have nuclear deterrent forces as it is logical to fear the restraint and humanity of the only nation to ever use nuclear weapons in conflict. As long as the US maintains our nuclear forces, a sane opponent will seek to deter us. With that in mind; the attempt to build out a BMDS that can blunt either nuclear deterrent force will be met with increased inventories of both strategic weapons and specific weapons designed for defense suppression. Further reacting to Russian or Chinese responses will not provide defense against that nuclear counterstrike capability as their counter-reactions are less expensive and more robust on the offensive side with defense suppression measures. Please stop blindly advocating for ‘more’ BMD as the more patriotic act is to advocate for appropriate BMD capabilities as a component of the overall military and intelligence apparatus that furthers our military security while not endangering our fiscal security. I believe you misunderstood the main arguments in my article. I never suggest that the current U.S. BMD architecture is capable of handling a large attack from a “peer” nuclear weapons state such as Russia. The point I make throughout is that the United States needs to tailor its deterrence and and defense posture to emerging threats, and to suggest that mutual vulnerability may not be the best approach to dealing with states such as North Korea. The only time I mention the application of missile defense against Russia or China is in the context of a limited accidental or rogue launch. I think we can all agree that either of these scenarios cannot be deterred reliably by threats of retaliation. Furthermore, this article was not meant to respond to or criticize Mr. Coyle. I greatly respect Mr. Coyle, and believe he is an important voice in the discourse on BMD. I may disagree with Mr. Coyle on several points, but I have certainly never suggested his arguments are not intelligently crafted. 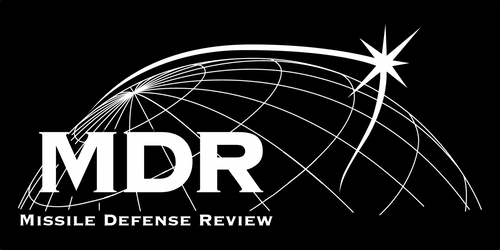 Also, please note that all articles on the Missile Defense Review reflect the thoughts and opinions of the authors only, and not necessarily those of MDAA. Again, thank you for your comments and for visiting the Missile Defense Review.